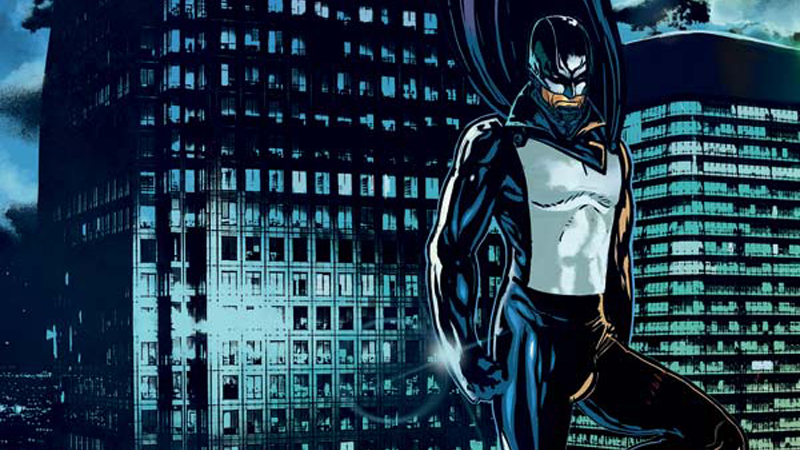 Serge Lehman’s critically acclaimed Masqué rocked the European comic world when it released a few years ago—and it’s starting up again, this time as an ongoing monthly. Get a first look at the new series, making its debut here on io9. Written by Serge Lehman with art by Stéphane Créty, the first volume of Masqué was translated and released as Masked by Titan last year, but now it’s being updated and tweaked for release as an ongoing monthly comic—taking the story beyond the first volume for the first time in English. Masked follows the life of Frank Braffort, a war veteran who returns home to a near future Paris, to find it transformed into a surveillance state ruled with an iron fist, and the emergence of a bizarre, petrifying phenomena known only as the ‘anomalies’ stalking the city. To fight the threat, Frank is called into action once more, donning a mask to take the fight against these mysterious beings to the streets. Aside from new design elements and updated artwork, a series of new variant covers for the series by guest artists will accompany the new comic, ahead of it branching out into new stories from Lehman and Créty. Check out the covers for the first issue below, as well as a few pages from the first issue below. Masked #1 hits US and UK shelves on November 23rd.